In an Almost carbon-copy of the just concluded Kenyan Premier League, the race for the Nationwide League top honours has boiled down to a three-horse race. Coastal teams Bandari and Congo United alongside KRA of Nairobi's are locked in a three-way battle at the top of the table with 59 points each. On Wednesday, Bandari blanked a hapless Magongo Rangers 6-1 to marginally edge past Congo United and KRA on goal difference. The three have all won 18 games, drawn five and lost five matches. Bandari is only on top thanks to their superior + 31 goal difference. Congo United is second with a +27 goal difference, which is one better than third-placed KRA's. Nairobi Stima, which lies fourth on 56 points, is also lying in wait to pick up the pieces in case any of three top teams falters. With just two rounds to go, the contest is destined to go down to the wire. All three teams have equal chances of gaining promotion to the top flight league and just like was the case in the KPL, winners could be decided on the final match day. Interestingly, as the league enters the penultimate round on Sunday all top three teams will be out of action. Hence, Stima will have a chance to catch up when they play Opera. The league's last matches will be played on November 27 with Bandari away to Homegrown as KRA face Bidco United away in Thika. Congo United and Nairobi Stima will face-off in a potentially cracking match on Nairobi. All the three teams have pending games with Bandari and KRA yet to play a game that was abandoned at the Mombasa Municipal stadium on September,18. Congo United’s game against Bidco United earlier scheduled for May 29,is also yet to be played. At the bottom-end, Compel of Webuye props up the 16-team league with 20 points. The western side has lost 17 of the 29 matches they have played so far. 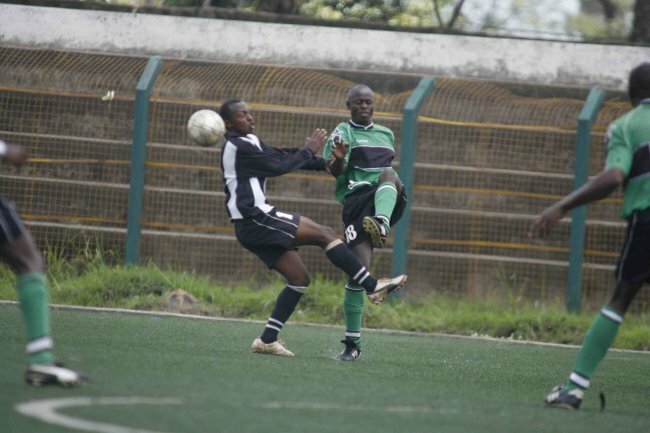 Former Premier League side Mathare Youth are above Compel with 23 points. The team hosts coastal team Magongo Rangers on Saturday.